Here is our Kia Sorento in Black with only 86,240 on the clock. An extremely low milage example for the age and is an Automatic Transmission. 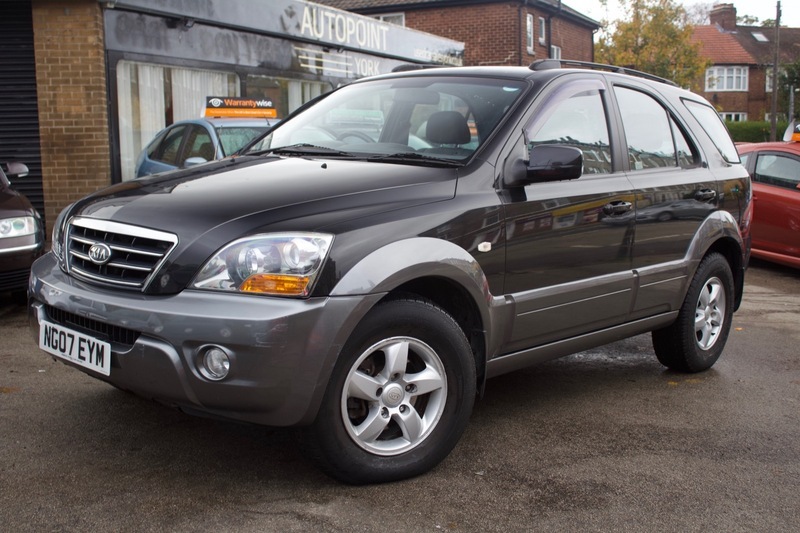 It comes with Full Service History and has been really well maintained by the previous owner. The car comes with Alloy Wheels, Automatic Transmission, 4X4 Low/High, Tow Bar, CD Player, AUX port, Electric Windows, Cup Holders in Front and Rear, Electric Mirrors, Extra Storage in Front and Fog Lights. The car comes with 12 months MOT, 12 months Service, Warranty, Free AA Cover for a year and Pre Delivery Inspection Report.